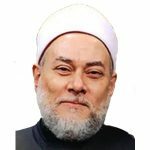 Dr Sheikh Ali Gomaa is the former Grand Mufti of the Arab Republic of Egypt and professor of Islamic jurisprudence at Al-Azhar University. He is currently a member of Al-Azhar’s senior scholars council. In his fatwa, Sheikh Ali states it is permissible according to Islamic law for non-Muslims to distribute zakat to its eligible recipients. They are not themselves considered as eligible to receive zakat under the category of zakat workers that is mentioned in Quran 9:60, so their wages and other operational costs must come from outside the zakat funds.